Pegasus will streamline the services of any company transporting livestock for clients, or companies managing their own delivery of livestock. The system covers every aspect of management and integrates seamlessly with our online booking system Helix. Pegasus gives you the flexibility customise screens, reports, graphing templates and menus to meet your needs. Screens are designed for rapid data entry and high volumes. Labels can be printed where required. For bookings made over the phone. An onsite system such as Comet may be used. Your customers can make a booking on the internet using Helix, the web bookings system. *Front end data capture minimizes data entry duplication and increases accuracy. The cost of a new job is automatically calculated by the system rating engine. Rating contracts are used to automatically calculate the booking cost. These may be attached to clients. Rating always defaults to a client contract. Cost centre contracts are used in the absence of client contracts. Rates information is centralised, minimising client onsite systems maintenance. Bookings flow into the radio dispatch area where the requirements are communicated to the delivery vehicles. Screens are designed for dealing with high volumes. Drag & drop allocation with keyboard option available. Colour coding & icons quickly show job status. Develop the most efficient route before allocating livestock to a vehicle. See the location of a driver directly from the dispatch screen. Drivers can receive allocated jobs directly onto their mobile devices in real time. Statuses and PODs are sent back electronically. Build DFM plans for long-haul, and drivers can record a driving log directly onto a PDA. Completed bookings move into the booking review area for pricing adjustments. After the adjustments have been finalised, the job is passed on to invoicing. An automatic status update for a booking may be sent back to the client either by email or the web. Customer service screens are available to review bookings within any screen. Internal electronic chats can be conducted between staff to discuss particular jobs. The accounts system can allocate incoming payments and keep track of debtors. Invoicing, cash allocation and debtors modules are available. 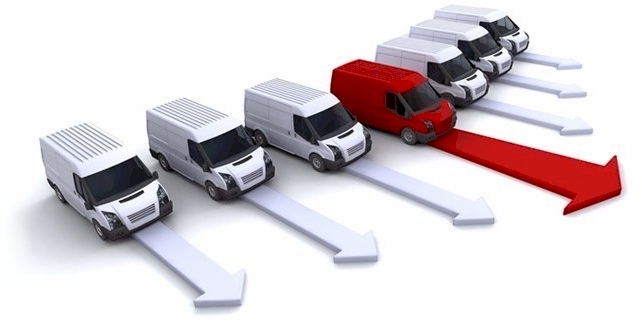 Details of company or driver owned fleet are entered and managed within the system. Customer service screens optimised for route management. Data retrieval and modification available all in one screen. Routes displayed graphically and may be modified using "drag and drop" or keyboard entry. Rating by hour, by service, by distance.